Christmas in Boring Oregon comes with the long tradition of our annual community holiday party hosted by the Boring/Damascus Grange. Every year we gather at the Boring Station Trailhead Park, located in the heart of “downtown” Boring. 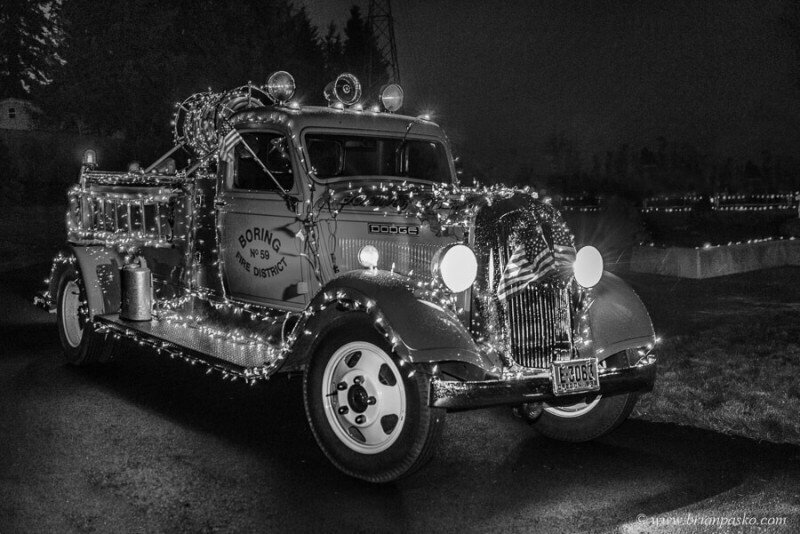 We sing Christmas Carols with our friends and neighbors and await for Santa’s arrival on a decades-old antique fire truck owner and operated by the local fire department. (You can click on the images below to see larger versions). Santa hops off his “sleigh,” lights the community Christmas tree, and we all retire to the Grange to enjoy hot cider and cookies. The adults catch up with friends new and old, while the children enjoy making hand made Christmas ornaments. 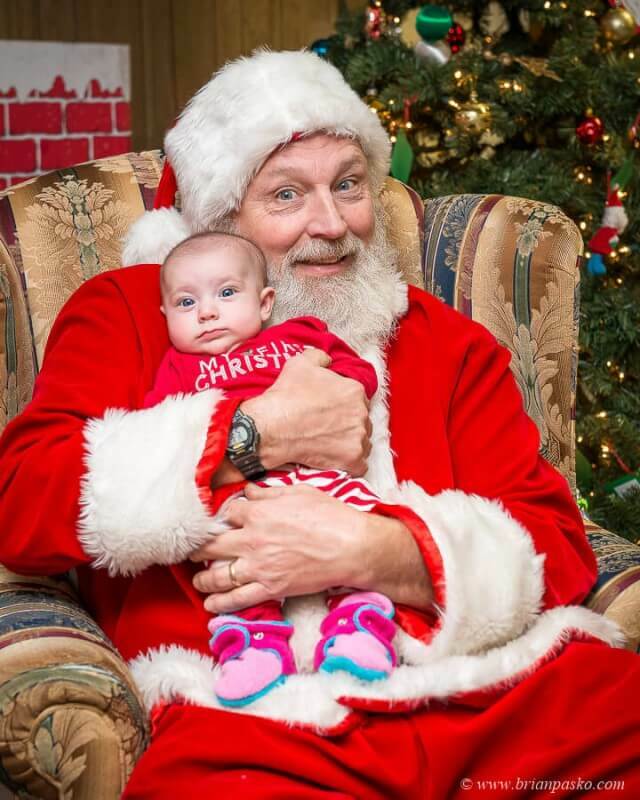 And, of course, Christmas wouldn’t be complete without a portrait of my two-month old daughter sitting on Santa’s lap!